Learn where to buy the best blank wholesale t-shirts this 2018, what are the best t-shirt printing methods, and which are the best blank t-shirts for your t-shirt business. Custom t-shirt business owners who choose to go through an in-house fulfillment model rather than a drop shipping or outsourced one, need to find a t-shirt supplier and decide the t-shirt style/model to purchase. On this blog post, I will help you discover the exact t-shirt model you need that best fits your brand requirements, I will also help you decide on what printing technique you should use and where you can buy blank bulk wholesale t-shirts at wholesale price. It’s easy to find and order t-shirts at a wholesale price from wholesale t-shirt distributors. By selling blank t-shirts at a wholesale price, these businesses allow us to actually run a profitable venture. Not looking to make a profit out of them but rather organize a charity run for a good cause? Then, once you finish reading this article, go and get shirt ideas for charity runs! Is it important to purchase high-quality blank shirts? Should I always go for 100% cotton t-shirts? These are two frequently asked questions that I will respond throughout the post. You will want to make sure that the t-shirts that you are going to buy, print, and sell will fit and feel good in order to satisfy or even exceed customers’ expectations. Another important thing to keep in mind is that depending on the design that you will put on your t-shirts, there could be some garment’s fabrics and printing techniques better suited than others. Some customers look for 100% cotton t-shirts, others look for 50/50 cotton/poly t-shirts. Some customers want 100% because they think they’re better, some others want 50/50 because they think they’re cheaper, and some want 50/50 because they think they look better for fashion. These are all good t-shirts but a better question to ask yourself is how heavy, or how light, you need a t-shirt to be. If your target market is an elder audience living in an area with cold weather, then you should go for a heavyweight t-shirt. Cool lightweight breathable t-shirts are more suited for younger audiences and warmer weathers. Another good thing to keep in mind is that the more t-shirts you order the more you will save. Instead of paying $11 USD for a t-shirt when buying from retail, you could end up paying as low as $2 USD per t-shirt when acquiring your t-shirts from a wholesale t-shirt distributor. I will now help you figure out which printing technique you should use to print your t-shirt designs and also will help you decide which bulk blank t-shirts to get based on your designs and will help you discover where to buy the best wholesale t-shirts so that you can get started with your t-shirt business today. This is the right question to ask yourself when starting your t-shirt business. A simple graphic design like Nike’s famous Swoosh would be properly and easily screen printed on a t-shirt. On the contrary, a family photo with hundreds of different colors in it would be better suited for a Direct-to-Garment printing or sublimation process. If you’re having trouble coming up with design ideas, we have a post exactly on that and we also gathered creative t-shirt ideas on this 2018 t-shirt calendar, be sure to check them out! There you’ll see how to use Placeit’s tshirt design templates to create killer designs that your target market will love. The ultimate goal is to achieve the greatest, brightest, most vibrant, longer lasting print on a t-shirt. It’s terrible when you purchase a t-shirt, you throw it to the washing machine and next time you wear it the design has faded away or changed its color. This could happen for several reasons, an old and uncalibrated PTG machine, broken screen printing or sublimation equipment, low-quality supplies, an inpatient screen printer, an incorrect amount of pressure applied when pushing the ink through, and many other human or machine mistakes. But when you have the right t-shirt and choose the right printing technique, you will most likely produce high-quality t-shirts for your customers. To make things easier for everyone, here’s an infographic that will facilitate your decision-making process when determining which printing technique to use to create high-quality custom t-shirts. It all starts with the amount of colors that a design has. Even though screen printing has been the leading t-shirt printing technique for ages because of its long lifespan and durability, it is very limited in the sense that the process of layering the inks to get the desired effect turns out to be quite a bit of work when adding more than a few colors. When we come up with a heavy colored design, using direct-to-garment printing or sublimation is recommended. These are techniques better suited for designs with a lot of colors on them. Many have fallen in love with the direct-to-garment printing technique because of its low set-up costs, its instant turnaround time and the great results that can be achieved. The main disadvantage of DTG is the equipment maintenance and ink cost, nevertheless, it can be expected that ink producers will eventually offer better performing inks and at lower costs. Sublimation printing is a printing method that works with polyester and polymer-coated substrates. Results are permanent and do not peel or fade. When the design is transferred onto the garment, the dye turns into a gas and permeates the fabric and then solidifies into its fibers. As a result, the fabric is permanently dyed so it can be washed without damaging the quality of the design. Every technique has its pros and its cons. Screen printing and direct to garment printing give excellent results on cotton-based garments while sublimation needs a polymer to permeate into the fabric and solidify into its fibers. Use these recommendations as a guide when choosing a printing technique so that you can get a superb printing quality. Here’s a shortlist with the Best Screen Printing Equipment for 2018 in case you are thinking of purchasing your own gear. Now that we clarified the mist around the t-shirt printing techniques let’s move and learn what are the blank t-shirts you for printing that you need for your custom t-shirt printing business. What’s the right blank t-shirt for my t-shirt business? As the custom t-shirt industry has grown and evolved, a few key players have emerged. These designers, manufacturers, and suppliers of undecorated blank t-shirts have transformed the custom t-shirt manufacturing into a multi-million industry. These t-shirt brands have almost perfected the art of t-shirt manufacturing. T-shirt sellers are now able to get their hands on t-shirts of almost any kind of fabric combination which allows them to sell custom t-shirts that look and feel exactly as their customers wish them to. Lightweight, heavyweight, 100% cotton, 100% polyester, 50% 50% blends, Triblends, you name it. Here’s a short list of the top key players of 2018. What are the Top 5 of Best Blank T-shirt Brands for Your Custom T-shirt Business? Now I’ll show yo the best blank t-shirt distributors from whom we all can purchase t-shirts at a wholesale price without minimum quantity requirements or having to provide a Tax ID number. Where to buy high quality blank wholesale t-shirts for a custom t-shirts business? After testing and trying several websites I can confidently list these 5 reliable bulk t-shirt distributors where you can simply add t-shirts to your cart, purchase, and have them sent home for cheap. 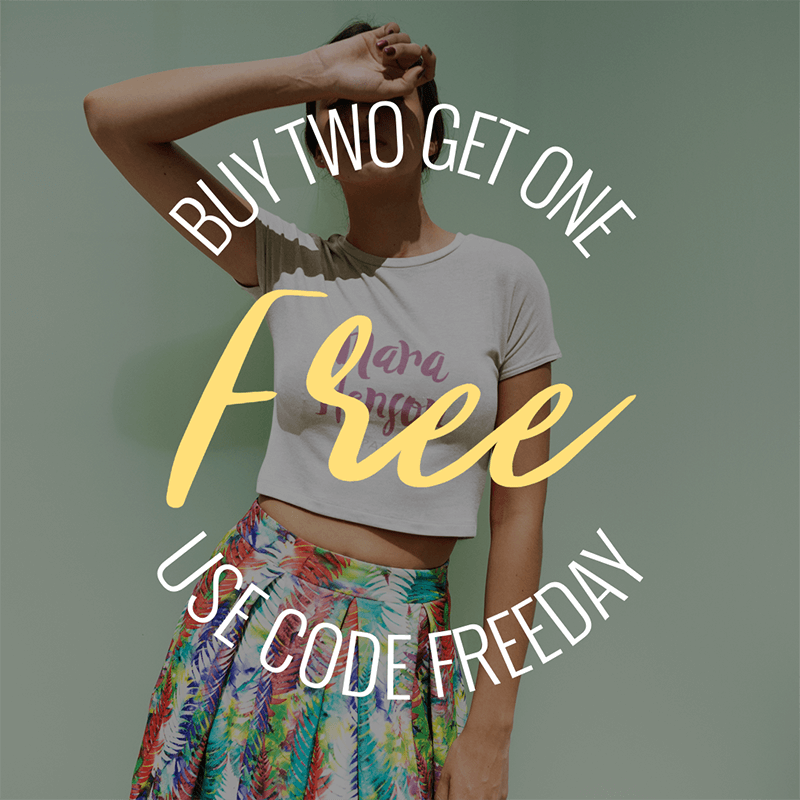 Buying directly from the previously mentioned t-shirt brands is mostly exclusive for these following blank t-shirt distributors since they purchase t-shirts by the thousands and us, who are about to start a t-shirt business, usually need just a couple hundred blank t-shirts to start with. All of these websites will ship to anywhere in the US and they also have physical retail stores spread all over the country for you to go and personally visit them. But what’s true is that they offer low prices to everyone. So compare prices, read the reviews, check availability and place your orders! How to find wholesale t-shirt distributors in my area? Not an online shopper? No worries. 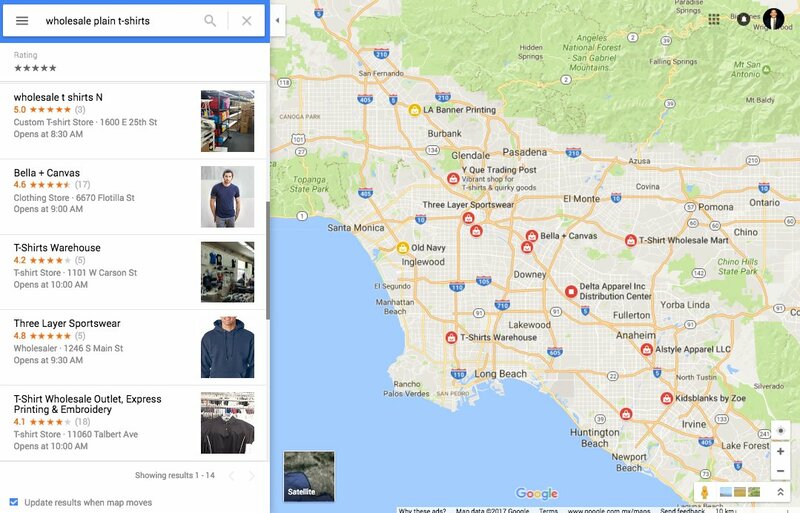 Google Maps and Yelp can help you find the best t-shirt distributor in your area effectively. Here’s how to find blank tees in your area. Go to Yelp, give it a location and type your search in. The process to find blank tees distributors in your area is very similar with Google Maps. How many t-shirts you need, sizes, and colors. What kind of fabric you want your t-shirts, is it polyester, cotton, hybrid? What is the expected delivery time after placing a purchase. After a few calls, you will be able to determine which t-shirt stores are worth the visit. At the t-shirt stores, you will be able to assess the t-shirt quality. I can’t emphasize enough how important it is to sell good quality t-shirts. When visiting a t-shirt wholesaler shop, ask to see first their Premium quality t-shirts, they will generally feel and fit better and last longer. These small details are definitely worth paying for, remember to always try to exceed or at least meet customers’ expectations. So here’s the t-shirt suppliers directory we promised! Feel free to download this directory or print it – it’s all yours. All of these websites allow you to place orders online and they offer bulk blank t-shirts at really low prices with no minimum purchase required. Click on a card to reveal a supplier’s full details! Once you get your t-shirts and you are ready to start your online t-shirt business you should give a look to this guide. It should help you get prepared to have an online t-shirt shop with Shopify and in no time. 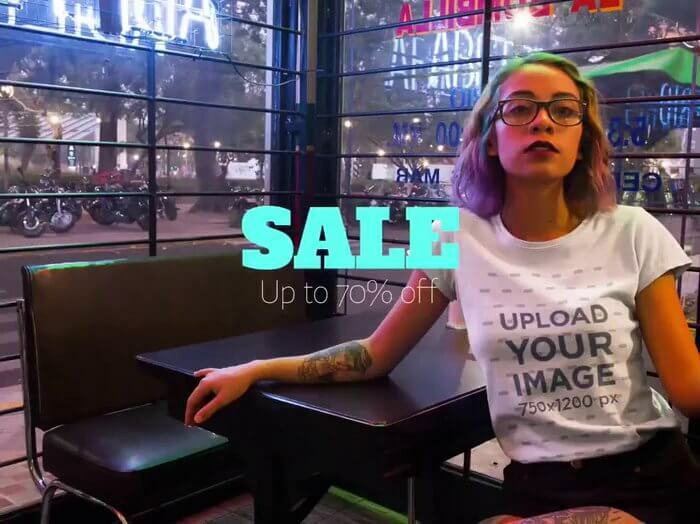 Once you get your t-shirt website up and running, check this Instagram guide for t-shirt business owners to help you get sales directly through Social Media too. Although artists end up earning less money for their designs when selling through a Print-on-Demand website, for many, it is still the way to go. When you sell through a Print-on-Demand website, like TeePublic for example, you don’t have to worry about buying t-shirts and sending customers their items since it is all this is processed through this platforms. Of course, it comes with a cost, in this case a commission, but it simplifies the process for busy people. If you want to learn more about the subject, check this 2018’s best print-on-demand websites guide and this other post on where to sell t-shirts online which includes a database of all the POD sites, their specifics and features so you can choose the best one for your business. Now, how do I promote my t-shirt business? 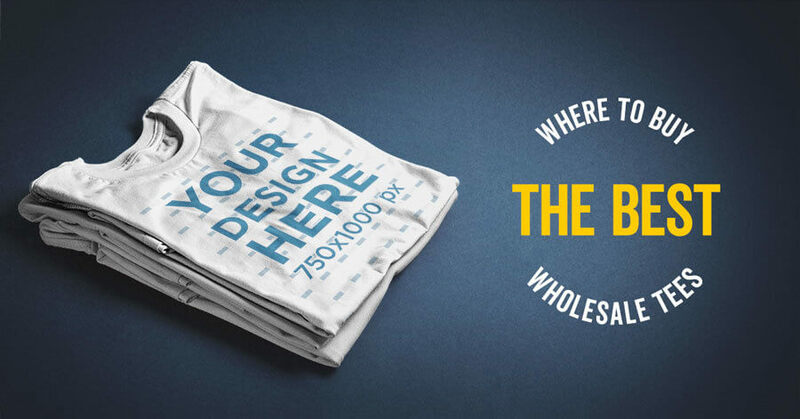 The best way to promote your t-shirt business is using Placeit’s t-shirt mockup templates! That’s how t-shirt business owners and print shop owners promote their t-shirts online. Placeit allows you to simply drag and drop your design into hundreds of tshirt mockups and templates to easily create high-quality visuals that look like they were done by a skilled graphic designer but really weren’t, they were done by you! That’s right! 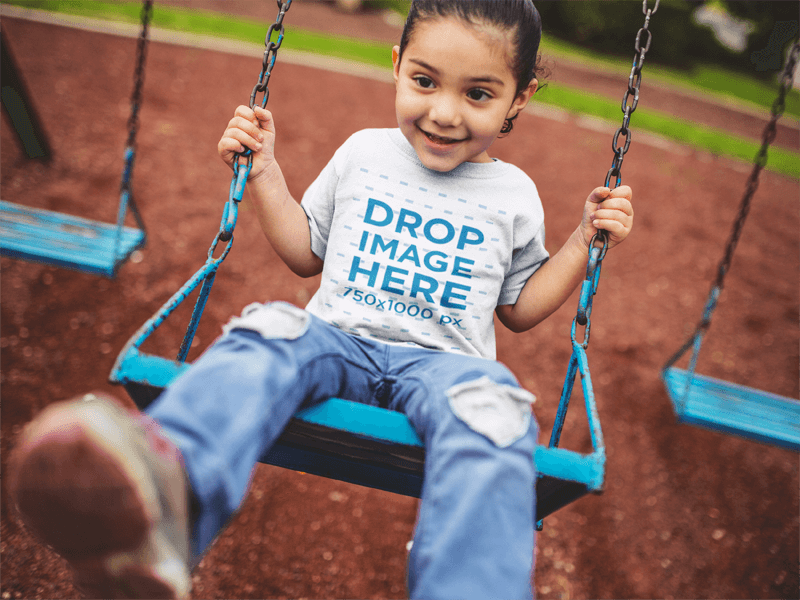 picture, the combination of high-quality t-shirts and a solid visual marketing strategy that includes t-shirt mockups, BOOM! When it comes to mockups, no one beats Placeit’s effectiveness. 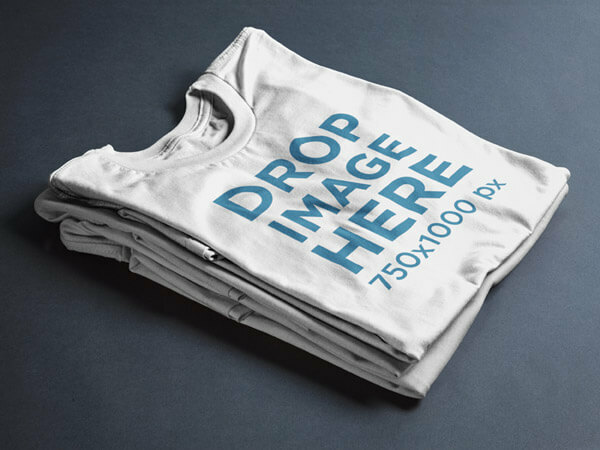 Have a look at some of the top seller t-shirt mockup templates available on Placeit. Tip – Placeit has an unlimited subscription that gives you access to every single mockup and video mockup that Placeit has available, that means you don’t have to limit yourself to just a few mockups when you want to promote your t-shirt designs! Aaand that’s a wrap. Hopefully with this short but helpful guide, you will be able to get your hands on high-quality t-shirts, start experimenting (hopefully not too much) with the different printing techniques, and make your first sale soon! if you’ve found this guide useful, please let us know in the comments section and feel free to share it with your closest ones. If you need help creating t-shirt designs to actually put on t-shirts then check this guide on how to find a t-shirt design tool for your t-shirt business. 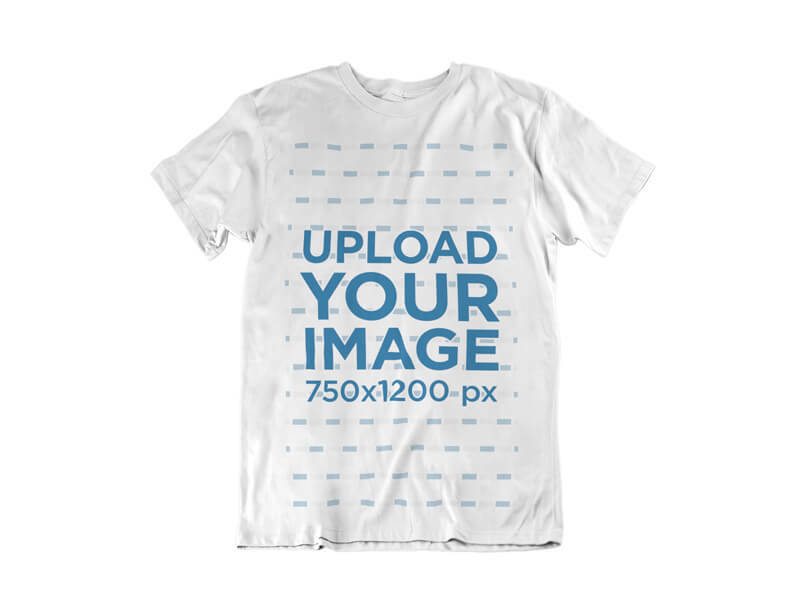 Display Your Designs on T-shirts! This post shows you how to track down the absolute best wholesale t-shirt distributors of 2018. We also teach you a bit about t-shirt printing methods, picking the right t-shirt and print-on-demand websites. If you're interested in starting a t-shirt business, this guide will point you in the right direction and help you start off on the right foot. We also show you all the wonderful mockups and tools Placeit has to make your life easy as a t-shirt business. 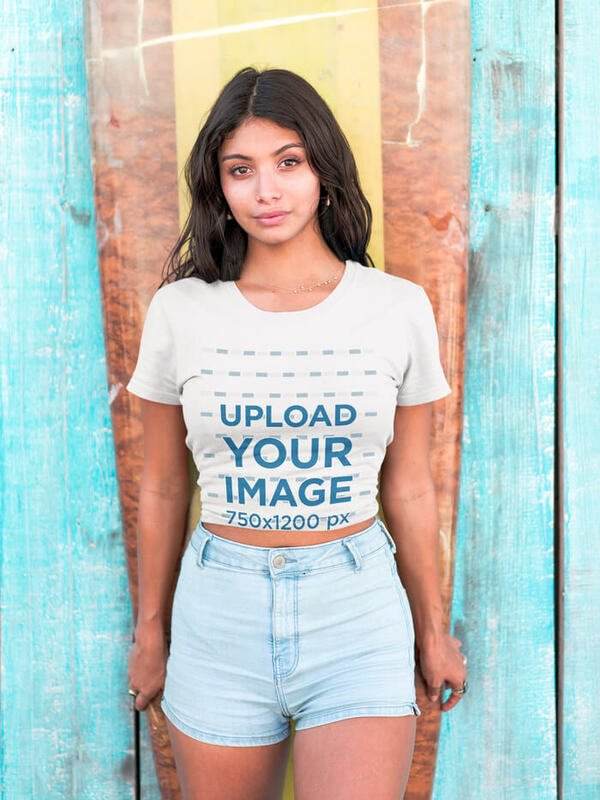 "Love using t-shirt mockups to sell my new designs thanks to Placeit"
User generated content has been around for a while, but with today's technology it's more important than ever. Implement it into your marketing strategy to get outstanding results.